Goldman Sachs research projects that by 2030 fully autonomous (self-driving) car sales will be 20% of total sales. Once that level is reached, an estimated 25,000 job losses per month will occur for truck drivers. If this holds true, it looks like quite a few people won't be driving themselves around in the US and that taxi, limousine, and other car services could feel a significant impact too. This will be a big change for sure, so it is good bankers have an estimated 8Ys to 13Ys to figure it all out. As you ponder the impact of driverless cars on your bank, we switch gears to discuss the impact already due to synthetic fraud. Over the years, community bankers have had to deal with kited checks, forged loan documents, money laundering, ATM scams and a host of other criminal activity. The latest iteration is known as synthetic fraud. Synthetic fraud refers to schemes that make use of fake identities, often with phony social security numbers or credit histories. The Wall Street Journal recently recognized synthetic fraud as one of the top threats confronting banks. By some estimates, synthetic fraud costs as much as $2B a year in losses. Much of the concern revolves around credit card scams where fake identities are used to obtain cards and then run up bills. A real social security number is often linked to a child or someone elderly who may not be paying close attention or not know. 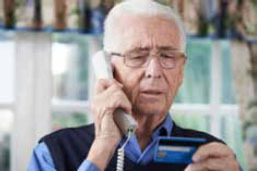 Thieves seek out social security numbers that are not being actively used by the real individual. This way, a fake identity can be created and the real holder of the social security number doesn't realize it. Cases have turned up where an individual graduates from high school and applies for college, only to discover credit and other debt running into the tens or even hundreds of thousands of dollars. Community bankers should be particularly alert for synthetic fraud in business loan processes. Here, a fake identity can be used to create a fake credit history. That fake history is then used to trick a loan officer into approving funds for an unqualified or even fictitious loan applicant. The result is uncollectable loans. Given the rising number of non-bank lenders that promise quick turnaround on business loan applications, there is additional pressure on community bankers to move more quickly when evaluating and approving loans. Particularly clever fraudsters are often alert to weak due diligence. When a loan is quickly approved, thieves sometimes immediately create several more fake identities and try to stack a series of loans with the bank. By the time the bank has figured out the scheme, the uncollected loans have already piled up, so be careful here. One ongoing target is small businesses that lack strong detection systems. They can get ripped off by customers using credit cards obtained with fake identities. If the fraud against the business is large enough, it can damage cash flow and in turn damage outstanding loans. Cash flow can already be a challenge for many small businesses, so this issue only aggravates the problem. Community banks should be alert to potential problems synthetic fraud can cause for small business clients. There are a number of ways to fight synthetic fraud, but all depend on effective diligence. Verification of loan application details is more critical than ever, so looking at everything to identify anything out of the norm or odd is important. The sophistication of synthetic fraud makes driving out these cons before they happen more difficult than ever. So, be sure to review your KYC process, tighten up due diligence on all loans and train staff so they are ready to tackle these new challenges. Yields moved up 2bp as investors reflected on mixed economic data. Fed Philadelphia President Harker said he expects 3 rate hikes this year and a slow wind down of the $4.5T balance sheet starting later this year. If the Fed raises rates this month, the federal funds rate would rise to a range of 1.00% to 1.25%. Many Fed speakers indicate the equilibrium rate is probably closer to 3.00%. Given 25bp rate increases, that means bankers can expect another 7 or 8 rate increases after the likely June increase. A survey by Experian of risk managers finds 75% of insurance brokers and legal experts say their small business clients are unprepared or poorly prepared for a cyberattack. Keep educating your customers to help them improve as you work to protect your bank. The World Bank projects global economic growth will climb to a 7Y high in 2018, reaching 2.9% (vs. 2.7% this year). Research by CTRL-Z of IT decision makers finds 50% of all corporate data is held on endpoint devices (internet-capable computer hardware like laptops, smart phones, tablets, printers, etc.). Canadian banks that had previously indicated an interest in acquiring US banks are now saying those plans are on hold. Primary reasons include uncertainty around tax reform, economic growth and valuations. The European Commission has approved a bailout of one of Italy's biggest banks, Banca Monte dei Paschi di Siena. The bank is short $9.9B in capital and the Italian government will end up owning a 70% stake as part of the restructure. We invite you to participate in our CFO & Risk Management Officer surveys to obtain insights into priorities and challenges facing fellow bankers. This information will be shared at our Road Tour sessions and on our website. Take CFO Survey or Take Risk Management Officer Survey to participate.